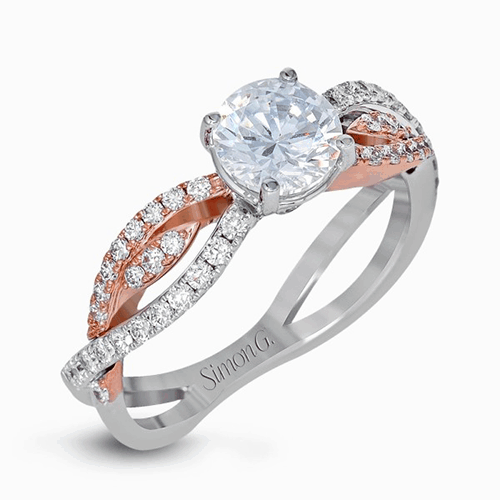 Product Description from Simon G. "18K White Gold. 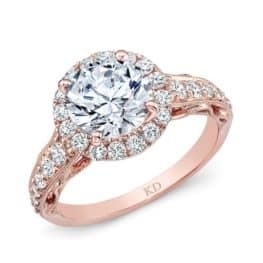 Center Stone Not Included. 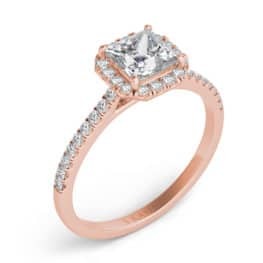 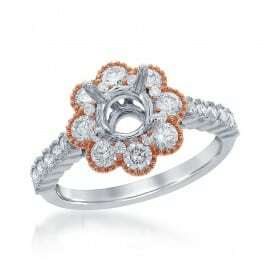 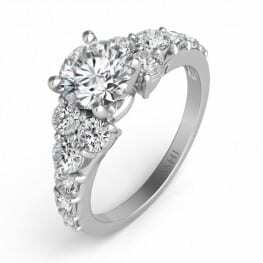 Showcasing a delicate swirl design, this two-tone engagement ring is set with .38 ctw of shimmering white diamonds."